I am told that unofficially and off the record, Chris Robertson and the people at Peak Sun Silicon think so too. 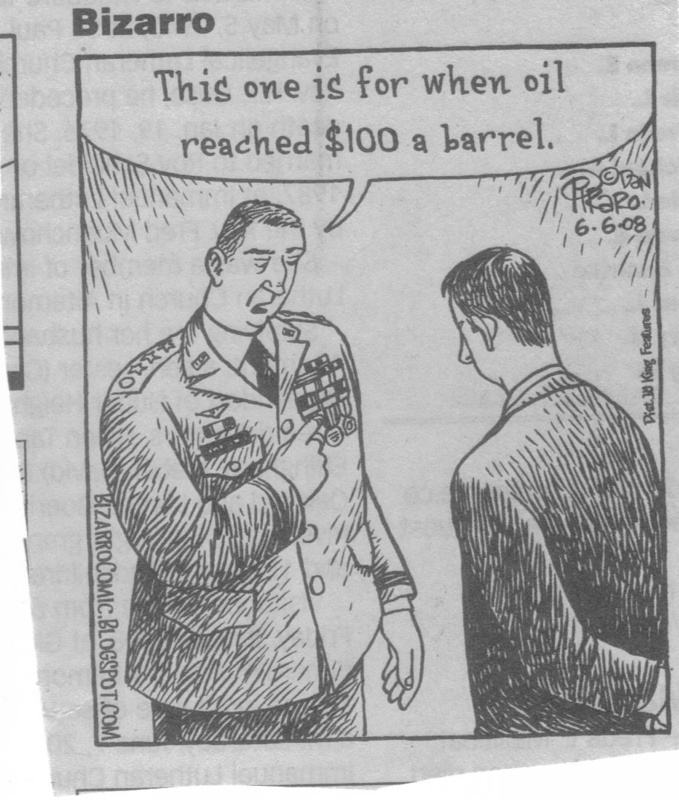 I think the Peak Oil People are wrong. I think Oil Speculation has DOUBLED the price of oil. 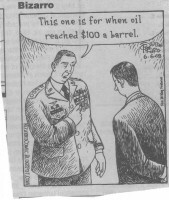 The Saudi’s claim that they believe oil is worth 70$$ a barrel. The real question is who tried to corner the Oil Market and Why? The second question is like the Hunt Brothers before them (in silver) when will they go to jail? A bigger question is will the Saudi’s give the money back that they made as a result? Unfortunately they may have screwed the pooch because people are switching to mass transit and scooters. This entry was posted in Bali Protocols, burn free generation, cartoons, cool sites, Energy Tough Love Blog, funny, gaia, green cars, hip club hopper, peak oil, stewardship, sustainability, vegan comedian by DougNic. Bookmark the permalink.